It wasn’t a surprise, but Tuesday, Gov. Tim Kaine announced his plan to address the Commonwealth’s growing budget gap. He announced $1.35 billion in cuts today. Those cuts will have a human impact. Close to 600 workers will be laid off and every state employee will be required to take 8 hours in unpaid furlough time. NBC12 has been covering the story all day today. 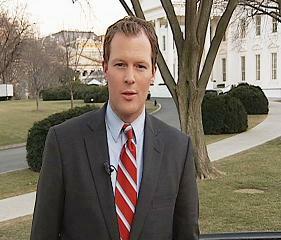 Andy Jenks will have a live report during our 5pm and 6pm newscasts. You can see Governor Kaine’s entire press conference on the issue, uncut, by clicking here. 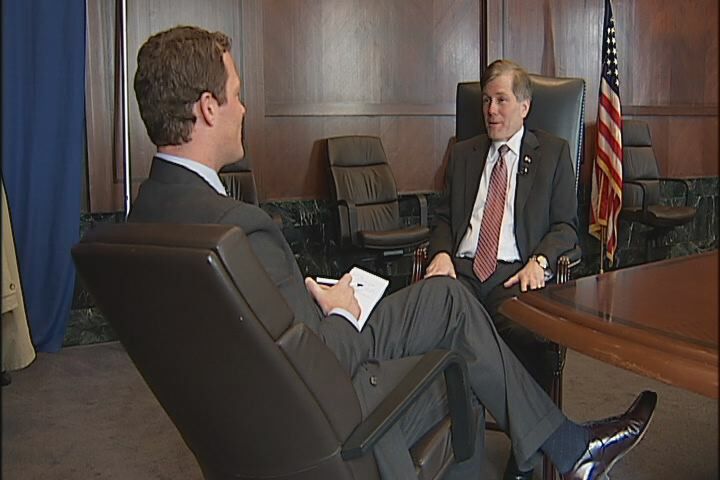 During First at Four, I interviewed Ronald Jordan, the President of the Virginia Governmental Employees Association. He gave me a very frank assessment of the state’s situation. You can see that entire interview by clicking here. Tonight we will look at the impact the cuts will have on higher education. The rollbacks could hit local institutions to the tune of 15%. I’ll have more updates as they come available. Governor Tim Kaine just wrapped up a lengthy press gaggle where he discussed the end of his final legislative session as the Virginia’s top elected official. As you might imagine, the discussion was centered around the budget. Kaine said that this was the most difficult budget process Virginia has had to face in “many, many years”. He said he was happy that despite the challenges this budget presented that the final product turned out to be closest to the one he had originally submitted of any during his tenure. The Governor gave the most credit to his friend in the White House Barack Obama. Kaine said that if not for the Obama stimulus plan, the state would be in much worse shape than it turned out to be. He quantified the $800 million used to fill holes in the budget plan but pointing to the impact it would have in just one area: state personnel. He said that without the cash, 7,100 state employees would’ve been laid off and he would have been force to institute furlough across the board. The Virginia House of Delegates just passed the state budget by a vote of 90-8. The Senate is now in the process of passing the same bill as well. If that goes as planned the next step is the Governor’s desk. Governor Tim Kaine is scheduled to meet with the media at 6:30 tonight. We will have a crew there and have more during our 11pm news. Lawmakers at the state capitol struck a deal last night that could mean that session will end on time. Today is supposed to be the final day of votes for this short session, and both houses are expected to take up the new agreed to budget plan as soon as 4pm. We will have the latest on the budget process, including what changes that have been made that could impact you tonight on NBC12 news at 6pm. RICHMOND, Va . (AP) – House and Senate budget negotiators reached a tentative midnight agreement Friday on amendments to the state’s cash-starved $77 billion budget. The accord leaves in doubt whether the General Assembly will take a rushed final vote on the 16-month spending blueprint late Saturday or adjourn late for the sixth time in eight years. Six senators and six House members bickered right up to the moment they sealed the deal with a handshake minutes before 12 a.m. The consensus the two sides reached uses about $1.2 billion in federal stimulus money to offset a $3.7 billion shortfall, the deepest on record in Virginia. It would restore most of the cuts a plunging economy and poor tax collections forced on health care, public safety and education. Can handball courts turn into stimulus? You are probably wondering what a picture of me playing handball has to do with Virginia’s portion of the federal stimulus plan. Tonight at 11 on NBC12, I hope to show you. At the beginning of February Governor Kaine unveiled a new website designed to give average Virginians the chance to submit proposals (however wacky they may be) as to how the stimulus money should be spent. I spend a good portion of today pouring over the submissions, which at this point number close to 4,000. Their are many legitimate ideas, that include widening sections of highways, building new schools, and countless other examples of the FDR style infrastructure investments that President Barack Obama has proposed. But as you might imagine there are plenty of other ideas that can be described as either innovate or insane depending on your perspective. Tonight at 11, I will introduce you John Bragg, an energetic idea man who submitted a proposal to the government’s website hoping to receive funding. His proposal involved me playing handball. Tune in to see his plan. It’s not too late to submit your proposal for funding. Just go to the government’s website site: www.stimulus.virginia.gov and follow the directions. They must be submitted by Friday March 6th. After the jump you will find some of the proposals I found particularly interesting.